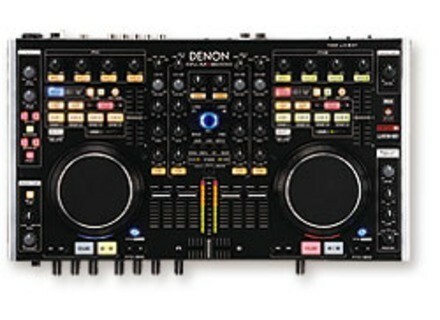 DN-MC6000, MIDI Control Surface for DJ from Denon DJ. 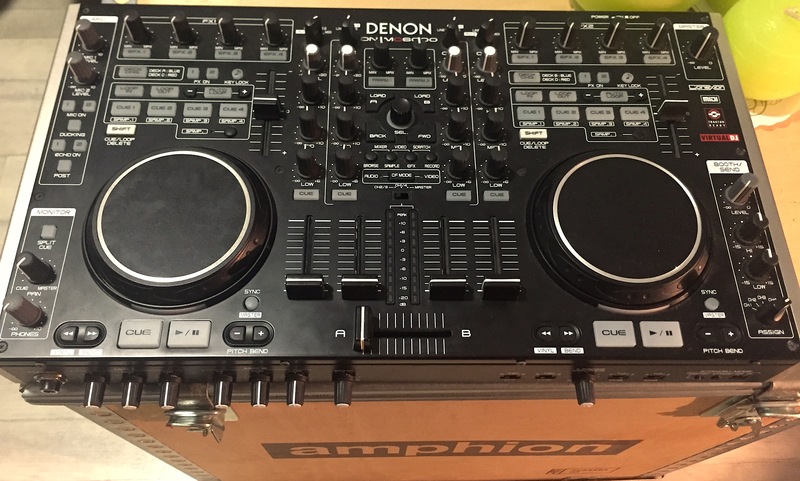 Product replaced by the Denon DJ DN-MC6000MK2. The Denon DN-MC6000 is a high quality digital mixer and controller that comes ready to go and easy to set up right out of the box. This controller has just about any function on it that a DJ could as for in this price range. All of the buttons light up making it very easy to see in poor lighting conditions. This controller is a 4 channel standalone digital DJ mixer that has a built in MIDI interface and its own sound card. 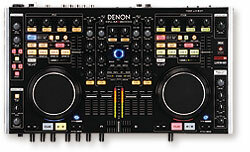 I have used many Denon controllers over the years and I am very pleased with the quality of them. They also seem to make sure they all have a solid build to them and are not made out of plastic. 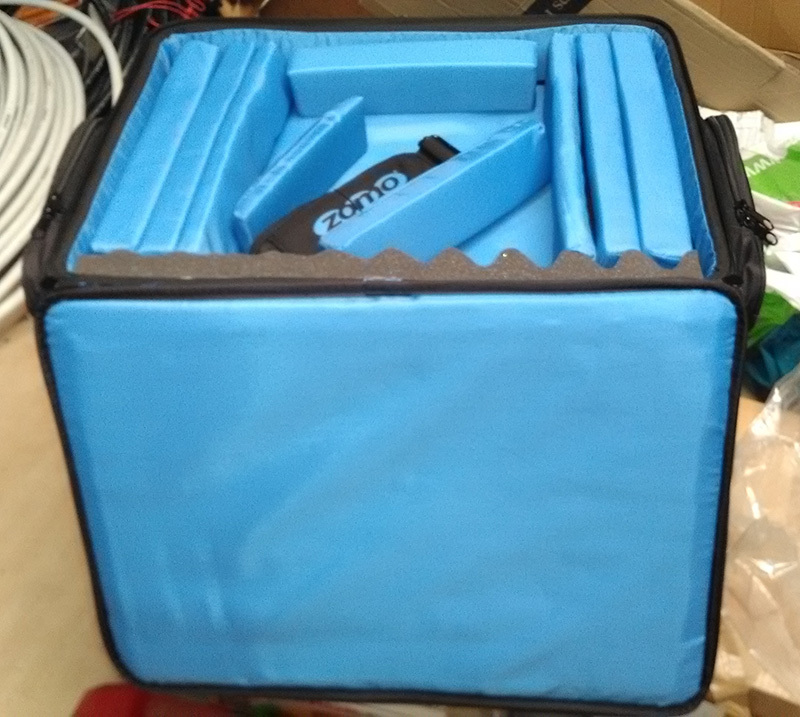 This unit comes with Virtual DJ LE software which is far from my favorite software but you can use it with just about any DJ software you may just have to do some tweaking of the functions within the program to get it to response correctly. There are vinyl pitch bend jog modes and even oversized cue and play buttons. This interface and controller will work with any Windows system fluidly (not sure about Windows 8 yet). If you want to use it with a Mac you can, just make sure you have a good processor. There are 45mm cross faders and XLR balanced and RCA unbalanced master outputs. This mixer was a great live performer for me because of the mic ducking function and built in echo effects for the microphones. I was able to set all of my functions up via the presets settings to be the way that I like to have them for each one of my shows. Being that at the time I was sharing this unit, this was a critical feature for me so I didn’t have to reset everything the way that I wanted it each time I wanted to use it. Adyssey Beats's review"A Good, Portable Controller"
Last month I had the pleasure of borrowing a friend's Denon DN-MC6000 to play a show with and boy was it a blast. Having not settled on a favorite controller worth buying new, the MC6000 definitely surfaced as a viable candidate due to its very functional interface and portability. As the majority of the shows I play are on the road, I need a controller that can weather the storm in the back of a van packed with production equipment. The Denon MC6000 in its small-suitcase-sized black carrying case stood through the test. Once inside the event, I opened up the case into a full work-station - a very cool aspect of the product. The controller lay in the base of the case but was large enough to fill the space up to the rim of the opened container so that the buttons were fully visible from a profile view. The top half of the case then turned into two pieces - one that was removed and set aside and one that folded into a laptop stand above but set-back from the board itself. I allowed the device to act as an external sound-card and connected the decks directly to my speakers via XLR. The decks then connected to my computer via USB, all in a tight, compact set-up that left plenty of room in the bottom of the case in which to store excess cables. As for the performance, the decks couldn't have worked better. Apart from the lay-dancer coming up to the table just to gape at the fantastic array of colors on the board, the MC6000 truly shined with its uber sensitive jog-wheels, 4 channels, and completely customizable and extensive effects rack. All in all I would recommend the Denon DN-MC6000 to someone who, like myself, might prefer a smaller set-up to compliment their smaller stature. The only set-back is the financial aspect which comes out to around $800 for a new unit. After having used one for free I'm not sure if I want to buy this product new, but it is certainly competing valiantly. kx500man's review (This content has been automatically translated from French)" Well with tracktor pro"
Very good product! Great functionality even in platinum with Pioneer, I do not lose myself in this new Denon interface, which is not the case with the CD player of this trademark. One BMOL, Tracktor that comes with version LE, is the brid that you recorded online. Therefore, to fully exploit this interface buy Tracktor Pro, a cot for 100Euros more. sinclar's review (This content has been automatically translated from French)" Almost 2 years of use"
I use several for my company and after 2 years, only the play and cue buttons showed signs of fatigue with pieces that do not leave or stopped once it was detrimental to chain. I did put more sturdy and switches since it works without problems. I have not had any problems fader but I changed caution. I would have wanted to put a more accurate pitch but it is not linked to the converter and the fader itself impossible. I look forward to a new Denon controller more prosperous and more even if I am satisfied that the 6000 works perfectly in traktor pro. Denon DJ is now shipping its new DN-MC6000 twin controller and integrated mixer with native control for TRAKTOR( Pro and Virtual DJ 7.